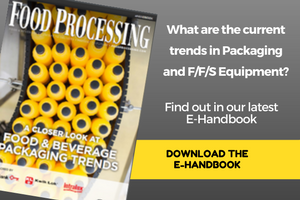 Two new code readers for reading 1D and 2D codes marked on parts, packages, or labels offer superior reading performance for part traceability and process control in the food and beverage industries. The In-Sight 5410 is capable of reading at line speeds in excess of 7,200 parts per minute. The In-Sight 5411 offers high-resolution (1024 x 768) for a larger field of view to handle greater variation in the position and orientation of codes on parts and packages. These new ID readers provide omni-directional reading of 1D and 2D barcodes and support an expanding list of codes including Code 128, Code 39, UPC, EAN, 12 of 5, and QR Code. They also deliver robust and reliable direct part mark reading using IDMax Data Matrix reading software based on patented Cognex PatMax technology. The new In-Sight ID readers achieve the highest possible throughput, even when supporting special AS9132 mark quality metrics for real-time code quality analysis of dot peen marks. In addition, these ID readers sport a new graphic user interface for quick and easy deployment-even for first-time users. In-Sight ID readers are rugged, industrial-grade units that meet IEC specifications for shock and vibration, and achieve an IP67 (NEMA 6) rating for dust and wash-down protection.